Fall is that special time of year when my two passions come together. Gameday action plus tailgate recipes. I’m in heaven! 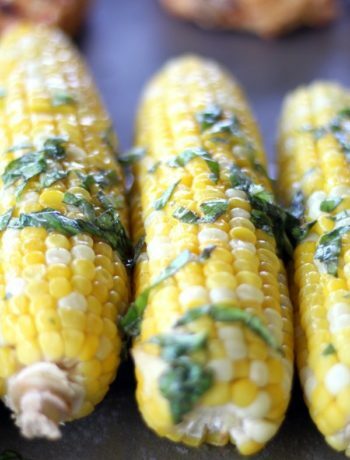 Our first tailgate recipe of the season? 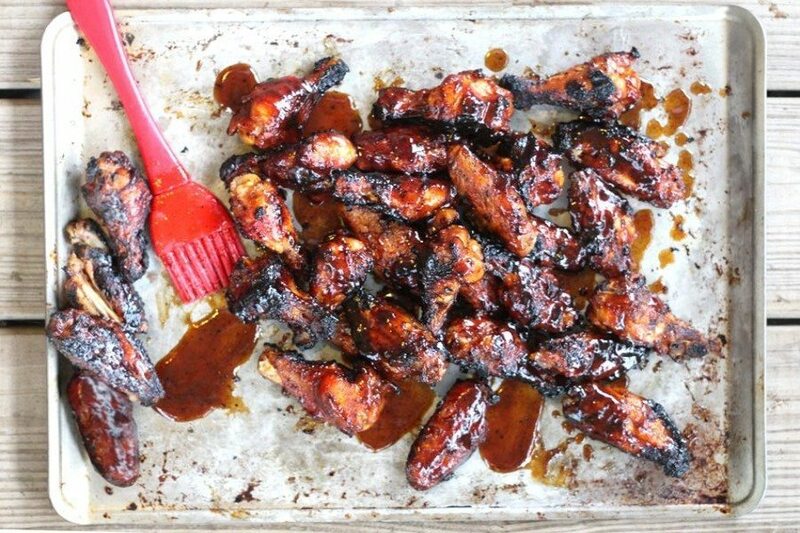 These spectacular sweet & sticky Dr Pepper Chicken Wings. No grill-gate is complete without delicious charcoal-grilled chicken wings. I love everything about the game of football. The strategy. The pure luck. The wins, the losses, the drama, the tradition. I love the weather of the season, the school colors, the football parties of fall. And the FOOD. When I first decided to start a blog, I had to pick a topic. You know, the one central theme that my blog would be about. It was a no-brainer for me. I was going to blog about football. 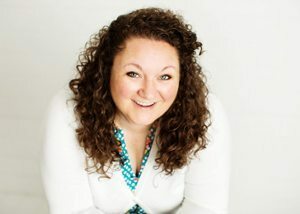 Yep: Southern Mom in her 40’s Blogs About Football. Once it dawned on me that not everyone would enjoy hearing my endless thoughts about football, I decided to blog about food instead. 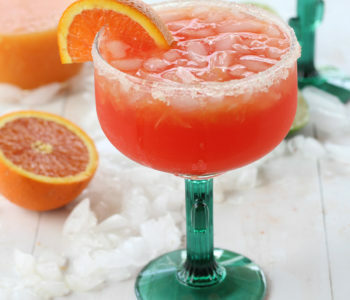 Teri’s Tailgate Rule #1: You cannot watch football without cold drinks and yummy food. This is carved in stone somewhere, I am sure of it. 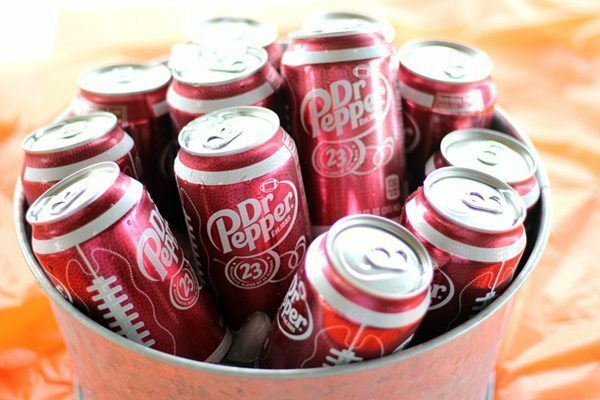 Have you ever tried to tailgate without tasty beverages like Dr Pepper? Ever stood around and discussed the finer points of an offensive line without food? Yeah. That’s what we thought. Don’t do it. Walmart has you covered. Pick up all of your College Football Tailgate essentials in one place. Kingsford® Charcoal and Dr Pepper are essential to throw the perfect fall tailgate party. 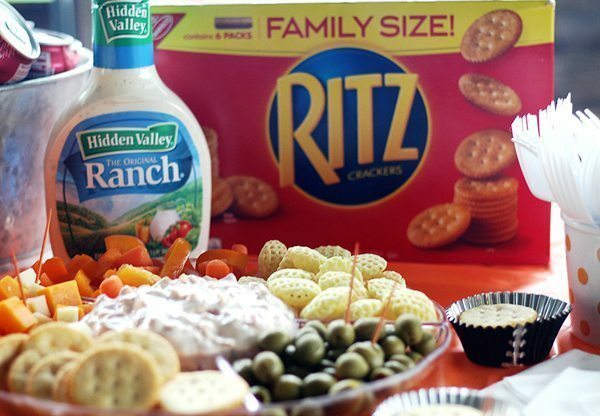 When you add RITZ Crackers and Hidden Valley® Ranch, it’s a “W” every time. 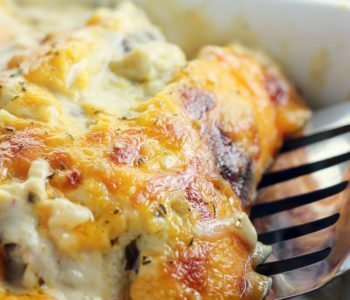 Our game day inspired recipe? 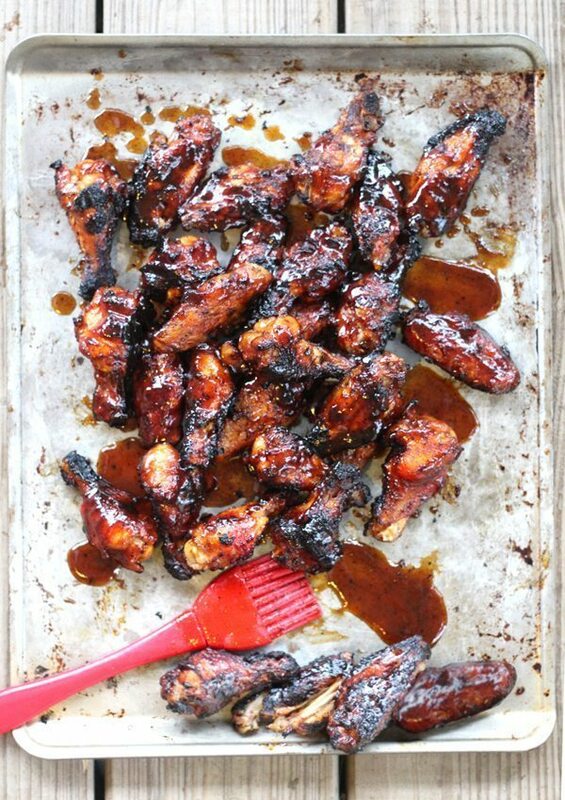 Sweet, sticky and spicy chicken wings basted with an easy homemade Dr Pepper barbecue sauce. The unique and bold flavor of Dr Pepper creates a beautiful rich and flavorful wing sauce. 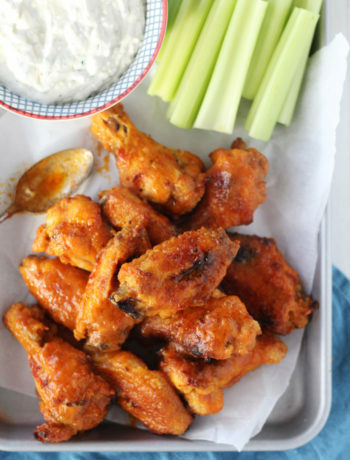 These wings are mouthwatering. There’s nothing else like the taste of Dr Pepper. #GrillGatingHero Tip: Make the sauce the night before. (Get the full recipe at the end of this post.) Pour into a jar, seal and refrigerate. 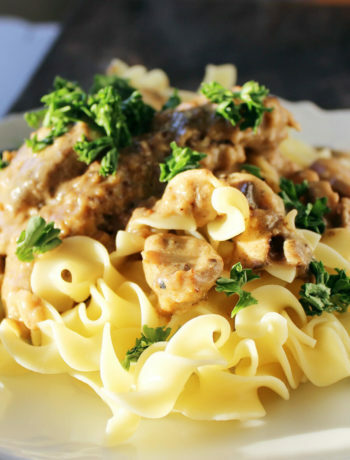 This will make game day prep super easy. Just toss the jar of Dr Pepper sauce into your drink cooler and go. 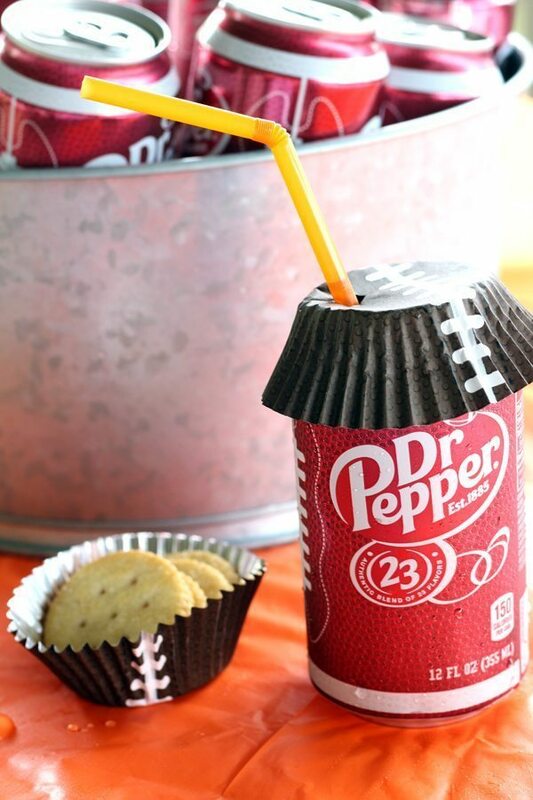 LOOKING FOR MORE DR PEPPER FOOTBALL IDEAS? CHECK OUT THIS POST ON HOSTING A FOOTBALL PLAYOFF PARTY WITH TOUCHDOWN ICE CREAM FLOATS AND DR PEPPER BBQ BITES. 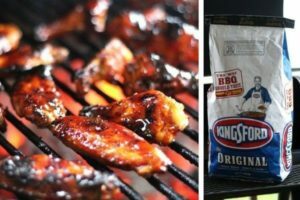 Cook your Dr Pepper Chicken Wings over a hot grill with Kingsford Original charcoal. Each charcoal briquet is made with real wood to give you the best smoky flavor. Check out this video with football great Emmitt Smith. Emmitt shares awesome grilling tips and recipes. Share your own grill-gate recipes for a chance to be featured on the Grill-gating website. Just use #GrillGatingHero on Twitter and Instagram. Can’t wait to see what you are grilling up this football season! Teri’s Tailgate Rule #2: Tailgate food should be portable. One of the secrets of having great time at a football tailgate party is fun, easy food. 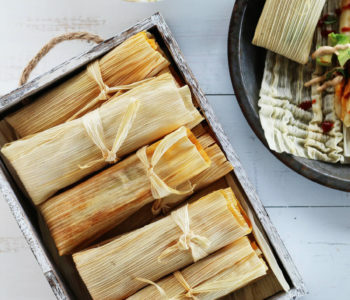 Food that is easy to pack, requires minimal effort and is tasty-good. Who wants to spend all their time working during pre-game festivities? Nobody. You should be having fun, talking smack to opposing fans, and getting your face-paint on. Think easy snacks like RITZ. 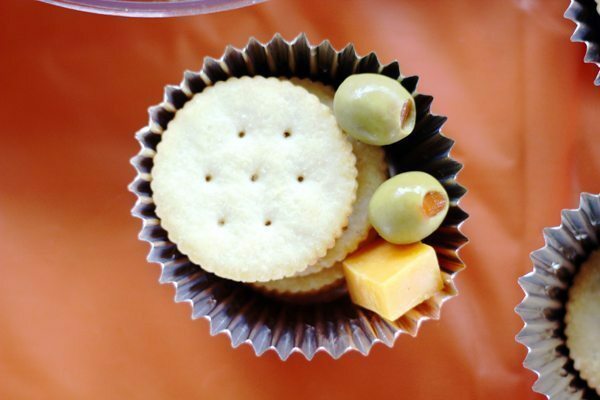 Everyone loves RITZ, plus they are versatile and delicious. Top them with anything you want, eat with cheese, or spread with dip. Be sure to grab the family size package to feed your hungry crowd. Teri’s Tailgate Rule #3: I Dip. You Dip. We Dip. Penalty flags will be thrown at your tailgate party if you don’t offer dip. People LOVE dip! 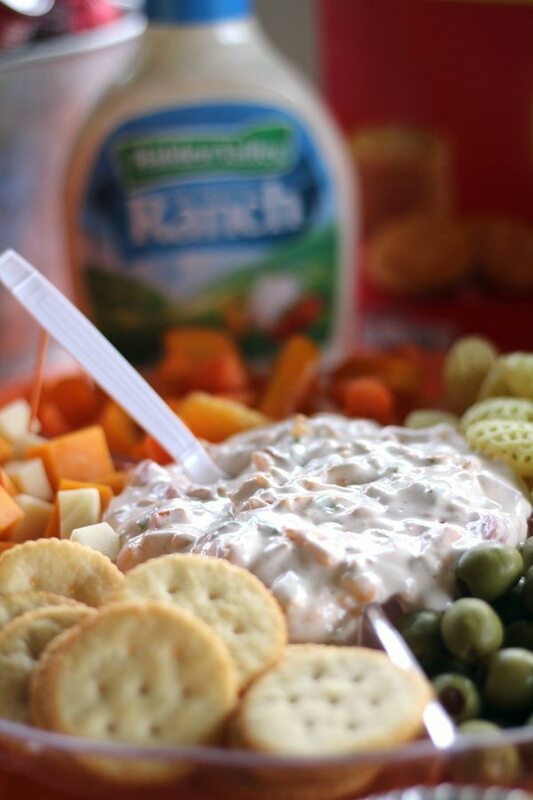 You’ve gotta have extra yummy dips and dressings for your Dr Pepper wings and RITZ crackers. 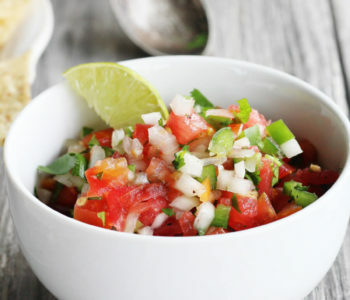 Hidden Valley is my favorite by itself or as an ingredient in a fast and easy dip. #GrillGatingHero Dip: Make this creamy Cheddar Ranch Dip the night before. Pack it in the cooler and you are all set for game day. Simply stir all ingredients together and chill. That’s it. Warning, this dip is addictive. 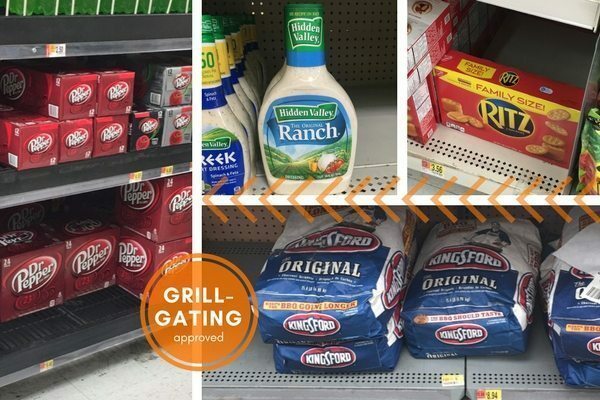 Click here for more ideas and inspiration for tailgating and grilling on-the-go with Dr Pepper, Kingsford and RITZ Crackers. 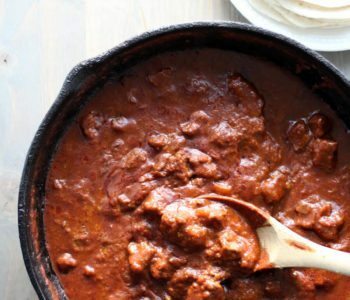 Combine the first 11 ingredients in a medium sauce pan. Whisk to combine well. Bring to a low boil over medium high heat, stirring frequently. Cook and stir for 15 minutes, watching carefully to prevent burning. Reduce heat to medium low, and simmer for 30 minutes to an hour until the sauce has reduced. Remove from heat. Sauce will thicken as it cools. Prepare chicken wings by cutting in half at the joint. Cut and discard wing tips. Sprinkle with the Sazon Goya or seasoning blend. Toss to coat the wings. Heat charcoal grill according to charcoal package directions. Place wings on the grill. Turn frequently to ensure even cooking. Halfway through cooking, baste the wings with Dr Pepper sauce. Continue to cook, turn and baste until the wings are thick with sauce and cooked through. Refer to chicken package directions for internal cooking temperature recommendations. Cooking times will vary based on heat of grill, size of grill, amount of charcoal used, and size of chicken wing.